In the music industry, respect is given to the likes of Aloe Blacc because of his many successful musical endeavors. Since the beginning of his career, he has released several music gigs receiving lots of critical acclaim, in fact, he has never failed at any. Aloe has also gone ahead to collaborate with a lot of other music artists. His single, I Need A dollar and The Man would give a quick reminder of his person to anyone who isn’t familiar with his stage name. Read on to find out more about him. Aloe Blacc was born and raised as Egbert Nathaniel Dawkins III in southern California, Orange County to Panamanian Parents. He grew up in a creative home and learned how to dance different dance styles from his family. He eventually got synchronized with the hip hop flow in his environment. While in elementary school, he took up interest in music and began to write songs while playing the trumpet. The music artist kept on at a good pace while in High school and by the time he was a teen, Aloe recorded his first song in a mixtape by Exile titled on Imaginary Friends (1996). After that, the two artists collaborated and adopted the stage name Emanon. Emanon went ahead to release a mixtape in 1996 followed by an Extended play Acid 9 in 1999. They later released three albums, Steps Through Time (2001), Imaginary Friends (2002), and The Waiting Room (2005). Their album, Bird’s Eye View though was recorded but was never released. In between his collaboration with Exile, Blacc also performed at various tours and worked with a jazz group known as Jazz Liberation. Meanwhile, Blacc majored in linguistics and psychology graduating in 2001 from the University of Southern California. While he was at USC, he was a Renaissance and Trustee Scholar. Upon graduation, he took a job with Ernst & Young working in the corporate sector. The year 2003 saw to the launching of Aloe Blacc ‘s solo career, he later released two Extended plays; The Aloe Blacc EP (2003) and The Aloe Blacc EP 2: Me and My Music (2004). The following year, he concentrated fully working with Emanon and in 2006, he sealed a deal with the Stone’s Throw Records after the label had listened to his music. This deal led to a full contract for his 2006 album, Shine Through. The album received lots of critical acclaim and was often used as an example to Sam Cooke’s song, A Change Is Gonna Come as well as the Spanish-Language Salsa Version of John Legend‘s Ordinary People. More so, Aloe Blacc while spending most of his times at the studio was also working behind the scenes grooming himself as a songwriter. He later went ahead to release his single; I Need a Dollar which peaked as the number two spot on the UK pop chart. It was also amongst the top ten songs played in various countries and was equally used as the theme for the movie; ‘How to Make It in America’ (2010). Blacc moved on to work with a French group known as Roseaux and made a few music gigs with them. With Interscope records, Aloe Blacc released his song Lift Your Spirit featuring Pharell, Dj Khalil, and a lot of other celebrated artists. In 2014, he released his song, on the album One Love, One Rhythm. During the grand opening of Wrestle Mania 31, the music artist performed the song America The Beautiful. He was featured in Owl City single’s Verge in the following year and in 2016, Aloe publicly announced his intentions towards the film, ‘Race’. Aloe Blacc sang the United States of America national anthem during the half time of the National Basketball Association finals in 2016. He collaborated with Tiësto and provided vocals for his song, Carry You Home and later performed his single Wake me Up with him as a part of the tribute to Avicii at Electric Daisy Carnival. With his many collaborations, music gigs and songwriting, nothing less is expected from the music goon especially when his money bank is put into consideration. It is no hidden fact that most of his songs are hits in most countries and he has been making an increasing number of sales since the beginning of his career. Sources say that Aloe Blacc’s financial value falls at $5 million. 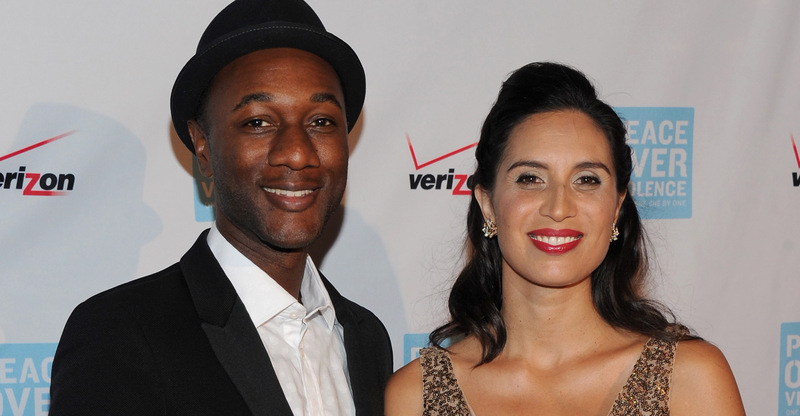 Aloe Blacc is a married man, he got married to one of his kind in the entertainment industry. His wife, Maya Jupiter is a Mexican-born Australian rapper, songwriter, MC, and radio personality. There are no details of either their relationship or their engagement but it is no mystery that they both tied the knots sometime in 2010. They have two beautiful children, Mandela a daughter born in 2013 and a son born in 2015.